A lovely response to a donation of my Danny the Dragon materials to a cause that I support dearly. 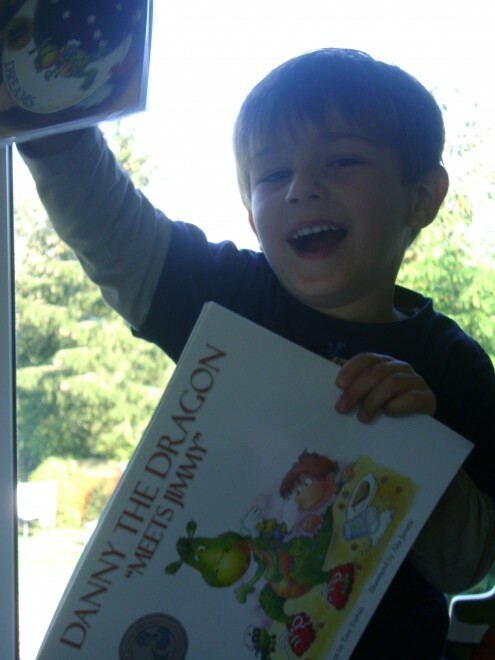 I came across a review for Tina Turbin‘s book Danny The Dragon “Meets Jimmy” on my friend’s blog. Because I have a child her son’s age and a child a bit younger, and because I trust her opinion on books that we will enjoy, I did not hesitate to order a copy of the book and audio CD for my own children. I have two kids, ages 4 and 2, who are bookophiles and I know they will love their book!